Joseph Smith first arrived in the area of Harmony, Pennsylvania in 1825. 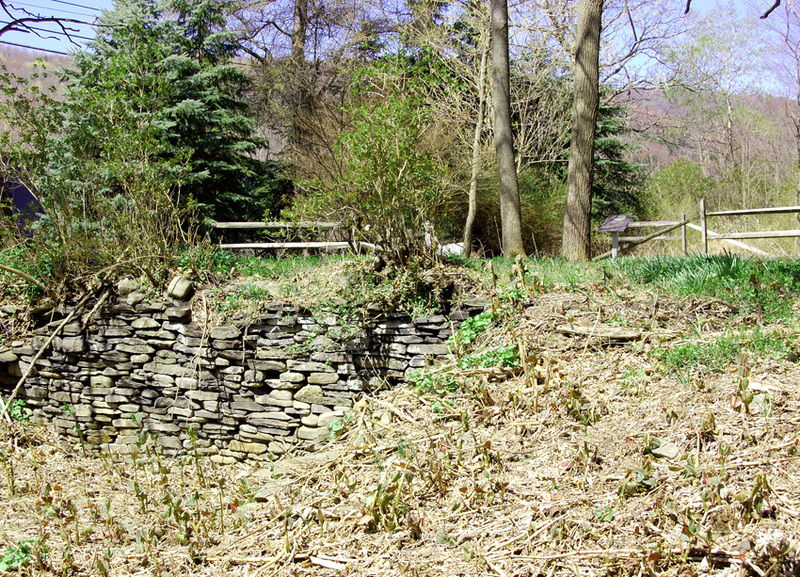 He had been hired by Josiah Stowell, of South Bainbridge, NY, to dig for Spanish treasure. During the short time of his employ, Joseph and other workers boarded at the farm of Isaac and Elizabeth Hale of Harmony, PA. It was there that he met Emma Hale, daughter of Isaac and Elizabeth. Home site of Isaac and Elizabeth Hale, Harmony, Pennsylvania . Photo by Kenneth Mays. Joseph Smith left Harmony and worked for Josiah Stowell and, later, for Joseph Knight of Colesville (now Nineveh), New York. During that time he continued to visit Emma at her home in Harmony as circumstances would allow. Their relationship blossomed and led to their marriage in January 1827. Following their marriage, Joseph and Emma moved to Manchester, New York, where they boarded with Joseph’s parents. After he had obtained the golden plates, opposition pushed Joseph away from the Manchester area. With assistance from Emma’s brother and financial help from Martin Harris, the couple moved back to Harmony in December 1827. 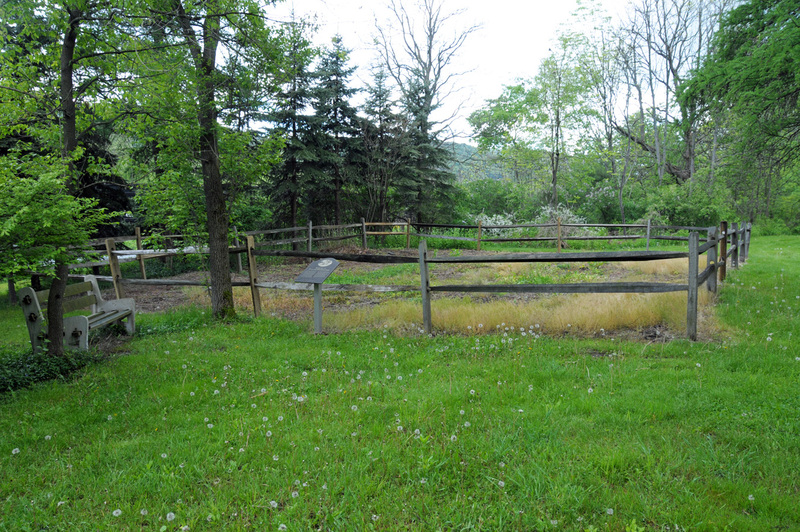 Home site of Isaac and Elizabeth Hale, Harmony, Pennsylvania. Photo by Kenneth Mays. 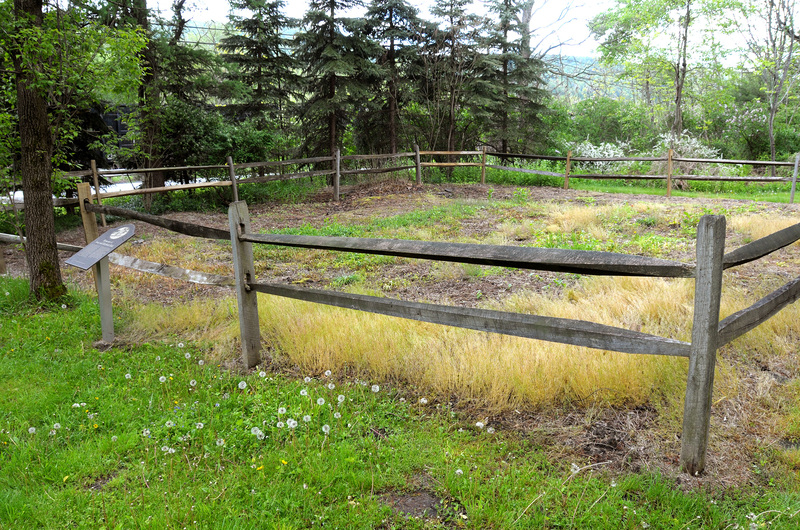 Joseph and Emma purchased 13 acres from Emma’s father and occupied a small home that was situated on that property. It was in that home that the Prophet translated the 116 known as the Book of Lehi. Martin Harris subsequently lost that manuscript and the ability to translate was taken from Joseph for a while. He eventually began translating again in April 1829, with Oliver Cowdery serving as scribe. 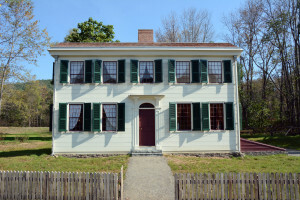 Joseph and Emma left for a period of time to complete the translation of the Book of Mormon at Fayette, New York but they maintained Harmony as their residence until fall of 1830 when Joseph and Emma left for good. There is no extant record of Emma ever seeing her parents again. 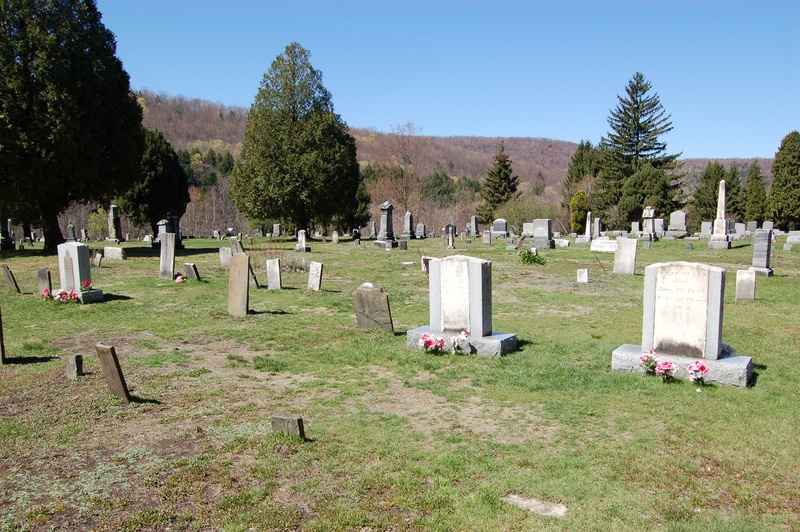 After living out their days, Isaac and Elizabeth passed away and were buried in the little cemetery adjacent to the Smith Harmony home. 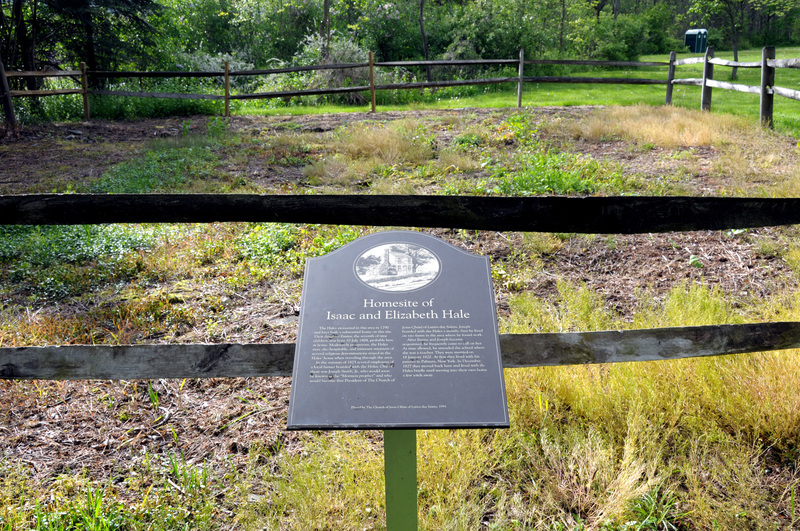 Headstones of Isaac and Elizabeth Hale. 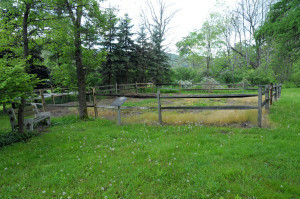 Grave of Alvin Smith is seen at the far left. Photo by Kenneth Mays. The dominant headstones at the right in the image above are those of Isaac and Elizabeth Hale, Emma’s parents. To the far left is the headstone of Emma’s first child, a son named Alvin. Born on June 15, 1828, little Alvin lived only a few hours. 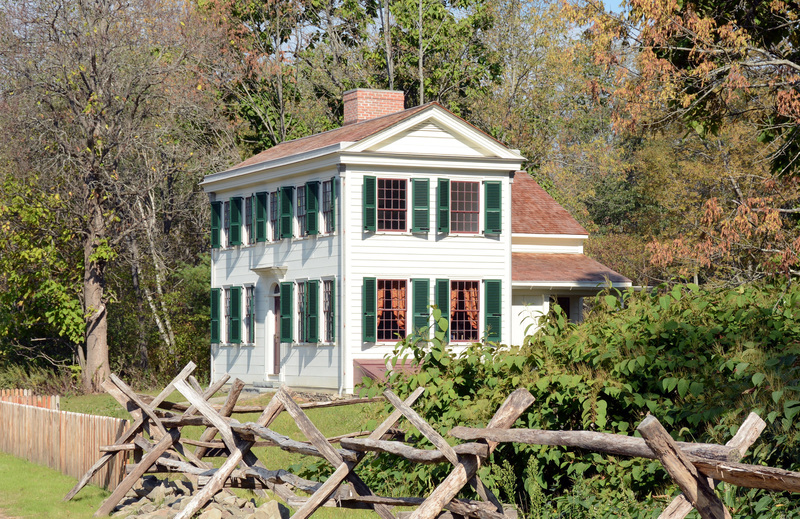 Rebuilt home of Isaac and Elizabeth Hale, Harmony, PA. Photo by Kenneth Mays. The original home of Isaac and Elizabeth Hale burned down in the 1870s and a second home on the site was constructed but later torn down in the 1950s. The original foundation was filled in to preserve it. In 2015 the Church of Jesus Christ of Latter-day Saints reconstructed the home on its original site. Along with the rebuilt home of Joseph and Emma Smith and a new visitors’ center, it was dedicated as part of the Priesthood Restoration Site by President Russell M. Nelson on September 19, 2015. Harmony, PA is now Oakland Township, Susquehanna County, PA. 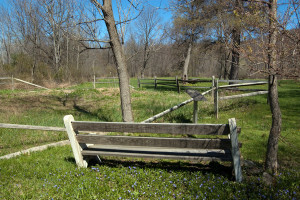 It is located in northeastern Pennsylvania a few miles south of the state’s boundary with New York. From Binghamton, New York, go south on I-81. 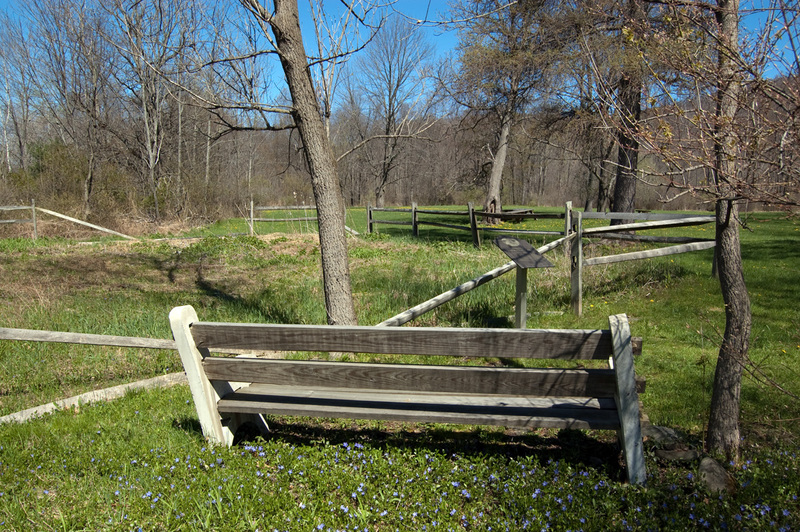 Cross the border into Pennsylvania and exit a few miles later at Hallstead. Go east on SR 171 to the well marked and newly dedicated Priesthood Restoration Site. It is under ten miles from Hallstead to the site. GPS coordinates of the visitor center: 41°57’07.74″ N; 75°38’15.18″ W.
The rebuilt home of Isaac and Elizabeth Hale is part of the Priesthood Restoration Site, a Church Historical Site owned and operated by The Church of Jesus Christ of Latter-day Saints. Admission is free but visitors should be accompanied by a missionary guide. Tours begin at the visitors’ center. 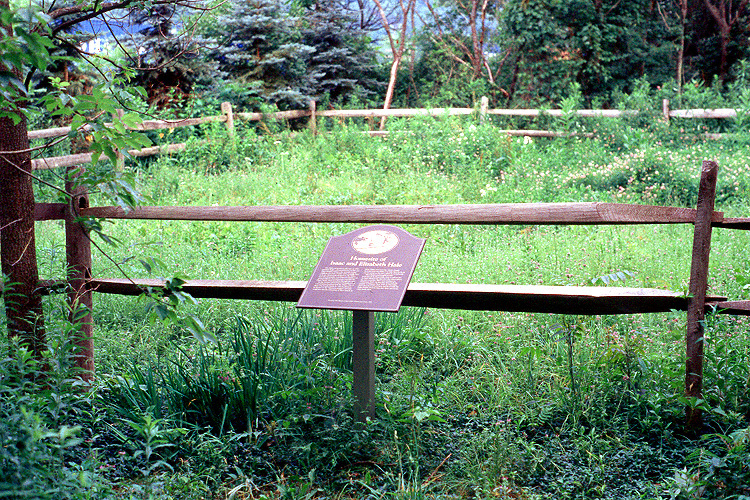 Home site of Isaac and Elizabeth Hale, Harmony, PA. Photo by Kenneth Mays. 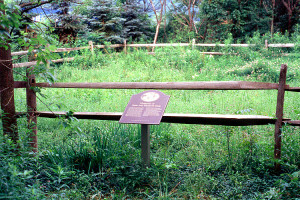 Home site of Isaac and Elizabeth Hale, Harmony, PA. Photo (1999) by Kenneth Mays. Steven E. Snow, “Joseph Smith in Harmony,” Ensign, September 2015, 50-57. Larry C. Porter, in LaMar C. Berrett, ed., Sacred Places Vol. 2, 262-276. Brandon S. Plewe, et al., eds. Mapping Mormonism, 21. Richard L. Bushman, Joseph Smith: Rough Stone Rolling, 53-54, 63, 119. William G. Hartley, Stand By My Servant Joseph, 36-57.